Info: Filer's Corners School originally served children in Butternuts and later Morris. It was built for Thomas Alvah Filer, a teacher who moved to the Butternut Valley to open a boarding school. In Filer's day, the attached dorm rooms for the boarding students gave the building a much different appearance. 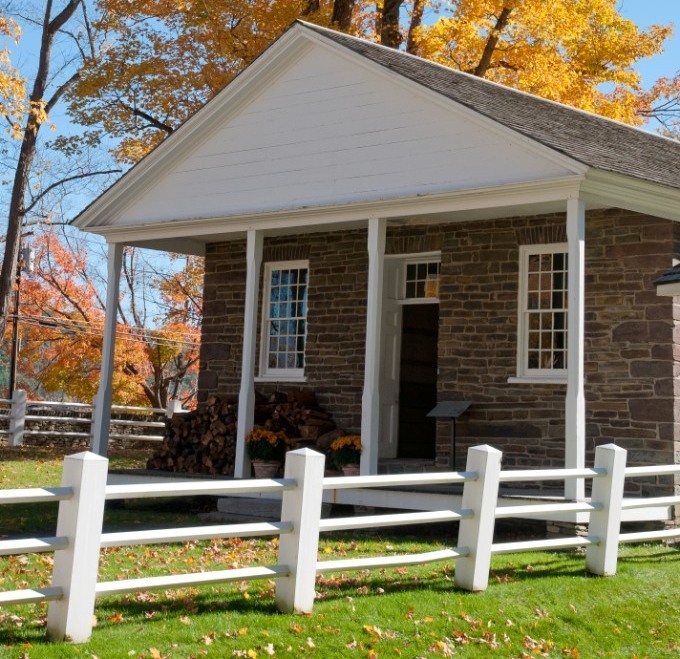 Today the schoolhouse interprets schooling in rural New York. Provenance: The Farmers' Museum acquired the school from the School District No. 9, Town of Morris, Otsego County in 1945. *Nathan Lull Jr., James Blackman and John Winton, Trustees of the School District No. 9, Town of Butternuts (now Morris) bought the school from Thomas Alvah Filer and Anna Eliza Filer, his wife on Jule 9, 1840 for $420. *Thomas A. Filer bought several parcels of land in Butternuts from Andrew Cathcart and Sally [Sarah] (Fairman) Cathcart on September 15, 1836 for $1,250. Included in this purchase was a 'small piece of land' subject to two mortgages to the Commissioner of Common Schools of Otsego County amounting to $200. *1825/1821 - 1811 Sarah Fairman owned the land. *1811-1810 Amos Botsford Fairman and Sarah Fairman bought the land from Vine Botsford on August 1, 1810.